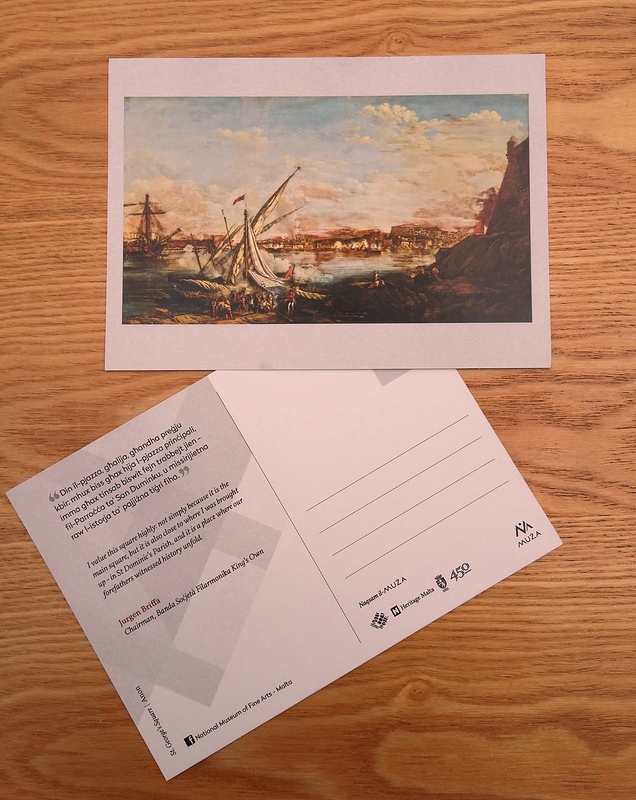 Following the article on ‘Community: the connecting keyword for cultural development in Malta’, ASEF culture360 contributor Herman Bashiron Mendolicchio had the opportunity to meet and talk with Sandro Debono, Senior Curator and Project Leader of MUŻA. In this interview, they talked about the new project of MUŻA and its focus on community engagement. Herman Bashiron Mendolicchio: Let’s talk about the new MUŻA project which is going to be an important step for the cultural development of Malta. What are the expectations and what is the mission of the new MUŻA? Sandro Debono: MUŻA can be summarised in one very simple equation. MUŻA = art + discussion. Both have the same weight and significance as one informs the other. It is all about the ways and means of how objects and artworks are re-thought and given new meanings, within the contemporary. The mission is grounded in the choice of name – MUŻA – which stands for three distinct values. The word is an acronym for MUŻew Nazzjonali tal-Arti; the Maltese name of Malta’s current National Museum of Fine Arts established in the 1920s as a Fine Arts Section within the then Malta Museum. MUŻA is also a direct reference to the 9 muses, the Greek mythological figures from classical antiquity thought to inspire creativity. Further, it is the Maltese word for inspiration, hence the dot over the z (Ż) which is a unique Maltese-alphabet letter. The project seeks to acknowledge the significance of an historic collection and rethink it into new narratives, meanings and stories. To do so, it rethinks the very notion of what a museum stands for much like the study of the etymological source and roots of words in language study. Finally, it seeks to become a source of inspiration, which is what a museum should be, through an inspiring display of themes and related objects. HBM: How are you going to structure the collection? I know there is going to be a great shift from a historical perspective towards a more geographical one. What kind of new narratives will you construct? SD: We want to go beyond collections and focus more on stories. MUŻA shall feature 4 stories namely Mediterranean, Europe, Empire and The Artist. Each section includes various themes and selection of artworks. These narratives are first and foremost stories to discover. The artworks are the evidence of these stories, purposely brought together and juxtaposed to create an empowering and meaningful experience. MUŻA has been purposely designed in terms of concepts and stories. The collection was only brought into the picture once the stories were decided and sifted through the chosen stories. The process worked very much like a sieve and can be re-proposed as a collections’ management tool when rethinking museums and collections. One tangible outcome of this process concerns the number of lacunae that have been identified and which now inform MUŻA’s acquisitions policies and strategies. HBM: MUŻA is described as a National-Community Art Museum – a very interesting definition. I’ve also read that the project is being designed “with people for people”, and that you understand the museum as a tool for social transformation. Can you expand on these concepts as applied to the Museum? Will the different communities living in Malta be involved in the project? How will they interact with MUŻA and vice versa? SD: There are various facets to this project which support and sustain the definition of a national community art museum. The first major shift which MUŻA advocates concerns the term ‘nation’. The trappings of a nation-state cultural institution are undoubtedly implied but for a country the size of Malta, with a population close to 400,000, the nation-state paradigm can be neither an imagined community nor a neatly stratified society. Malta can be recognised as a community albeit a complex and surprisingly multicultural one. The community base also concerns tangible, focused outreach projects. NAQSAM L-MUŻA (sharing MUŻA) is one such project. Prominent personalities and community leaders from local communities are being invited to visit the collection and choose objects of their choice. Later they speak about their choice in the presence of friends and guests, purposely invited for the occasion, and propose where visuals of their chosen artwork ought to hang in the community, together with a quote of what they think about their choice. HBM: A keyword of Malta's cultural national strategy is “Internationalization”. What are you planning in terms of building partnerships, co-producing exhibitions, collaborating with international professionals and so on? SD: The project, including all these initiatives, has been showcased and presented locally and abroad in lectures, conferences and public events. MUŻA was the subject of lectures at the Macdonald Institute for Archaeological Research (Cambridge), the Leicester School of Museum Studies and Goldsmiths University (London). A few weeks ago, the project was also presented at San Gervasio (Bari) in a purposely convened conference promoting knowledge transfer between the Valletta 2018 capital of culture project and Matera 2019 capital of culture project. 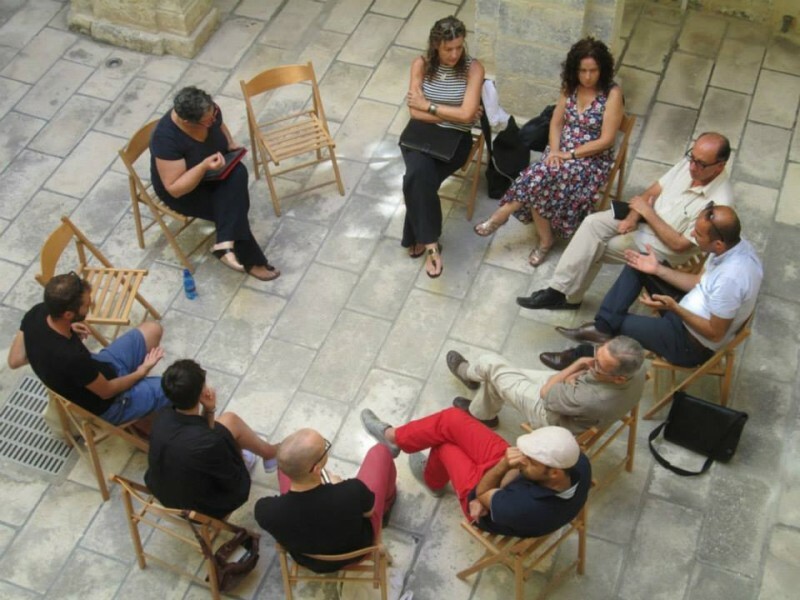 Last October, some of the projects and initiatives which MUŻA is spearheading were also presented at the Valletta 2018 conference ‘Cultural Mapping: Debating Places and Spaces’ and a few months before, Heritage Malta announced that the Network of European Museums Organisations (NEMO) shall be having their annual conference at MUŻA in late 2018. We’re still away from 2018, albeit close in terms of all the things that need to be done, but we do have plans in hand in this sense. MUŻA has been in touch with various museum and cultural institutions for the purpose of research and knowledge transfer including Victoria and Albert Museum in London, MUCEM in Marseille, BOZAR in Brussels and others. MUŻA aspires to be glocal and regional yet also bridging, in the meantime with local communities. HBM: MUŻA will be mainly focused on modern art, while contemporary art seems to still be facing “difficult times” in Malta. Will MUŻA deal with contemporary art? SD: MUŻA will deal with art irrespective of whether it has been labelled as modern or contemporary. The highlights will concern the historic collection that has been brought together over time ever since the museum collection was established in 1925. This has now been rethought into the 4 themes which together stand for MUŻA. MUŻA also seeks to become a catalyst for the better understanding and awareness of contemporary art. We have been focused on collecting contemporary artworks through special funds allocated to the national agency, Heritage Malta, since 2010. Some 120 works have been added to the collection, the vast majority by Maltese artists. Once MUŻA is up and running, the focus will certainly be on promoting a greater awareness on the value, merits and significance of contemporary art. MUŻA is part of a wider cultural ecology which we have to stimulate, support and invest in. There is a lot of work being done in this respect by our sister institutions namely Arts Council Malta and Spazju Kreattiv. HBM: In terms of audiences – usually one of the most important points for a museum – how are you planning to involve different audiences? SD: MUŻA has been conceived as a participatory museum in line with Nina Simon’s seminal contribution, although grounded and developed in response to the needs and aspirations of the community. We also move forward beyond the standard definition of audiences. MUŻA is looking at participants rather than visitors and the experience has been developed in terms of a knowledge ladder ... you can decide not to use the ladder if you’re ‘culturally’ and ‘intellectually’ fit enough but if you aren’t, then you need a ladder to access knowledge. MUŻA can provide you with such a ladder. SD: MUŻA is a Valletta 2018 flagship project and we are very proud of this endorsement. The project is first and foremost a tool in response to a vision which concerns the ways and means of how art and discussion can come together in a 21st century museum. All the work being done in response to the MUŻA project can be reference material for other museum projects on the island and elsewhere. 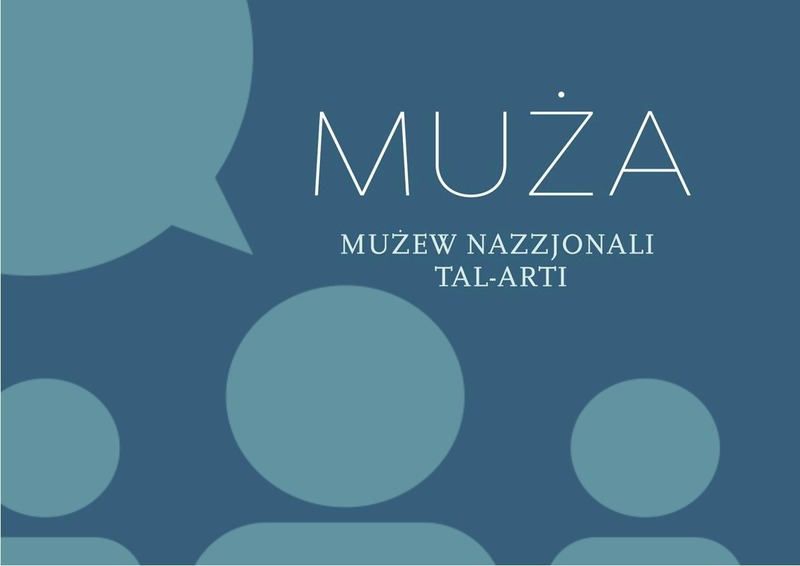 We firmly believe that MUŻA can be one of our contributions to the European dream, a museum that can go beyond object types and categories to become a tool for social inclusion and community empowerment, not just in outreach and management but also in display, contents and experience.